Do the Revs have the 35mm stanchions like the Pikes ? 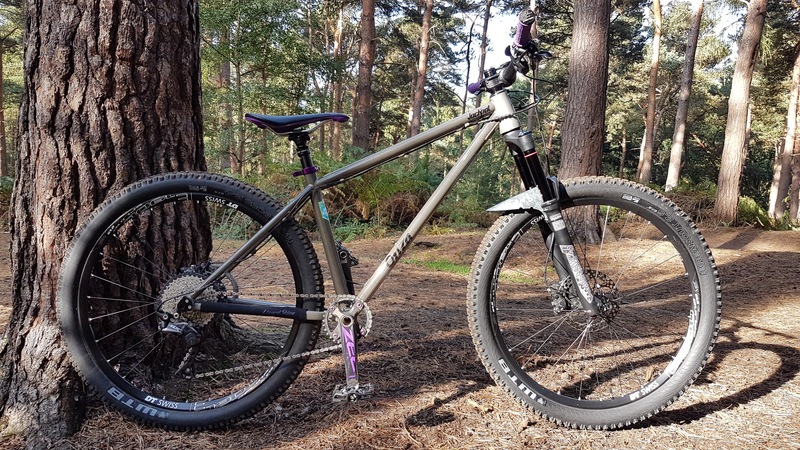 the revs are 32mm but rockshox 32s are not as noodley as fox 32s more comparable to fox34s in stiffness. they are perfect for what i need them for and lighter than pikes . i got them for a bargain price, they had just had a warranty service by sram and had new uppers, steerer and upgraded rct3 damper , the guy i got them from upgraded to a fox 36.
the guy i got them from upgraded to a fox 36. Have you given the new rig some stick yet ? i've taken it over to Thetford a couple of times to dial it in but that is the flattest trail centre on earth so not a real test . i also took it around the local technical xc course in the dark which was brilliant fun, so far its proving to be everything i expected and more, such a smooth ride. 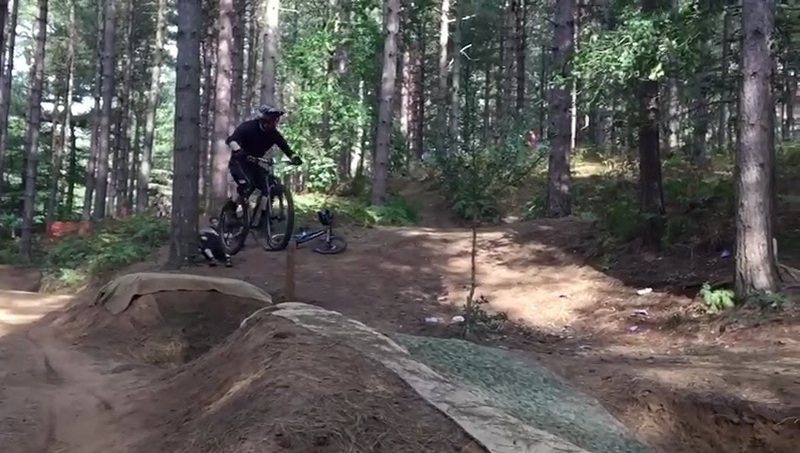 hopefully i will be able to get to chicksands this weekend and try it out in the bike park on the dual slalom, 4x and pump tracks etc, i cant wait. I love it mate,very nice. I think this is why I asked you last time why you went for the 4X frame as I find my Hornet FR versatile. 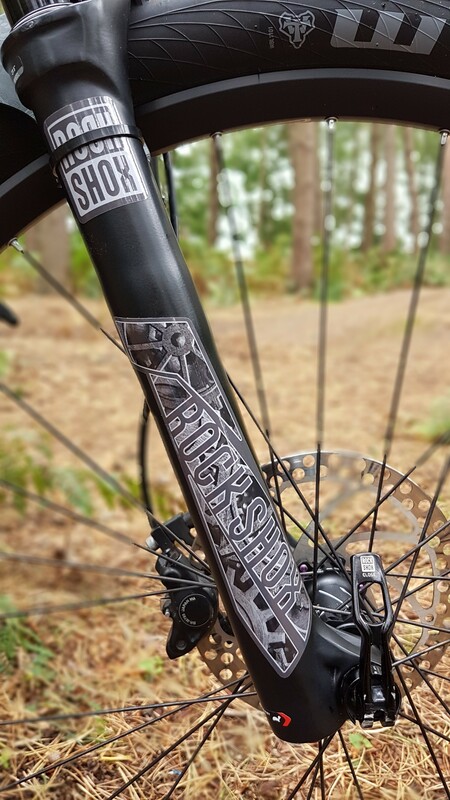 added the custom fork graphics now, fitted DMR vtwin spd pedals and swapped the bottle cage for the fabric cageless system , pretty much done just waiting on a top guide as i dropped the chain once at he weekend and want the security.